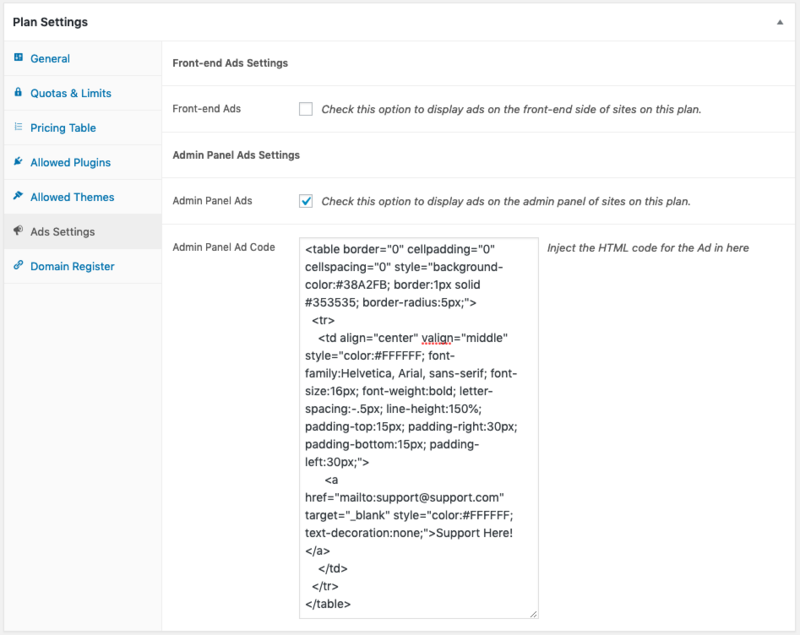 WP Ultimo: Ad Injector is a free add-on that gives you the tools to place ads on your plans right from their edit page. 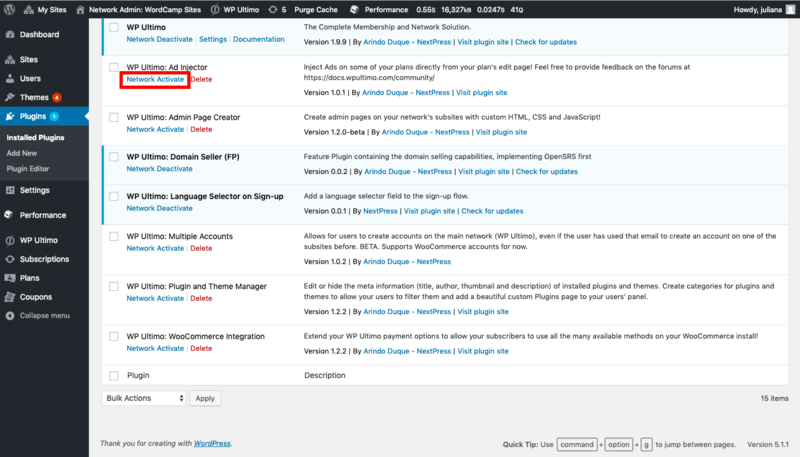 After installing WP Ultimo: Ad Injector, go to your Plugins page to activate it. 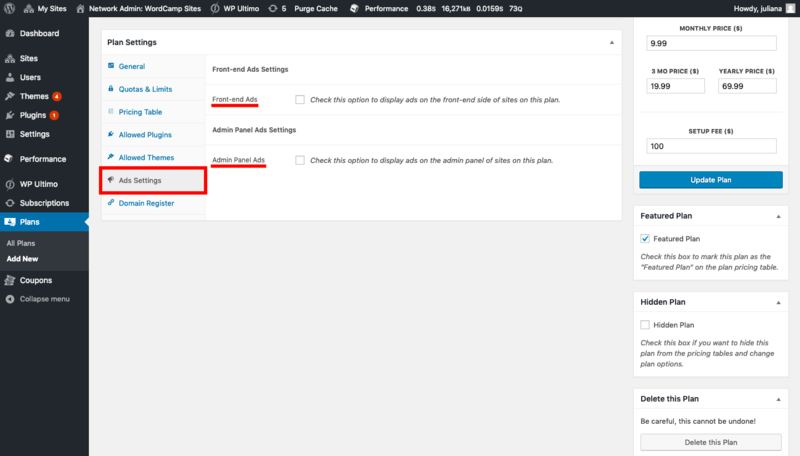 Once the add-on is active, the Advanced Options metabox on the plan edit screen will have a new option called Ad Settings. 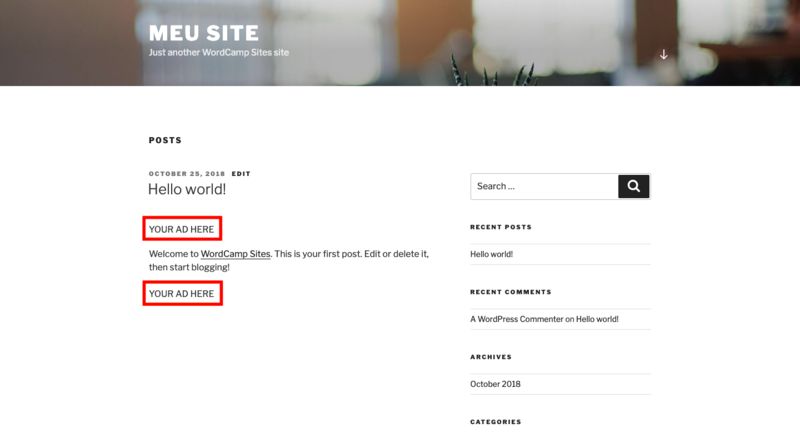 On that tab, you’ll be able to add the ad codes for posts and pages in the front-end, before and after the content. 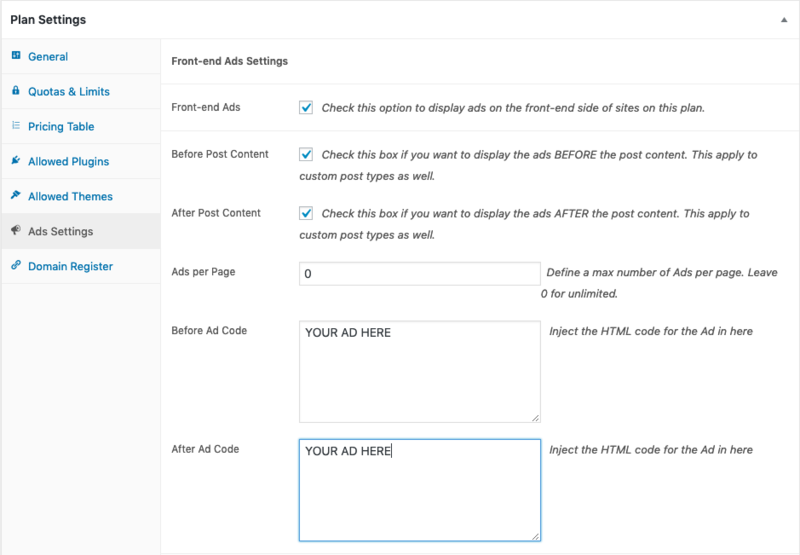 After inserting your ad's code, it will show on the posts and pages of that specific plan. You can also have ads included on the header of Admin Pages for users of that plan. You can also use WP Ultimo: Ad Injector to offer support to high-tier plans. Just go to Admin Panel Ads option and add the HTML code for your support tool. This way people can reach you right from their Admin Panel!